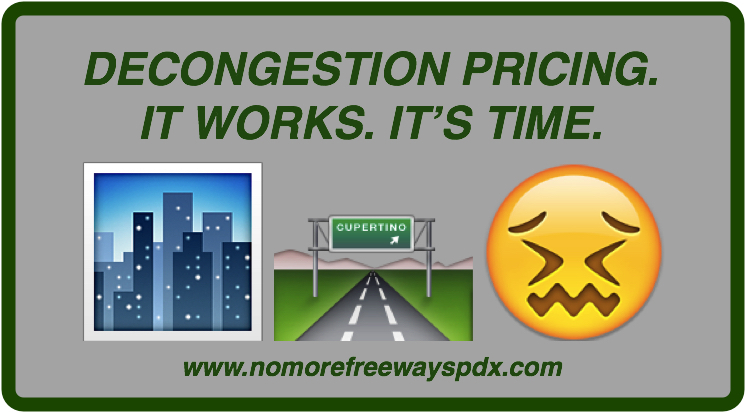 ACTION ALERT: Tell ODOT to support Decongestion Pricing ahead of Freeway Expansion. 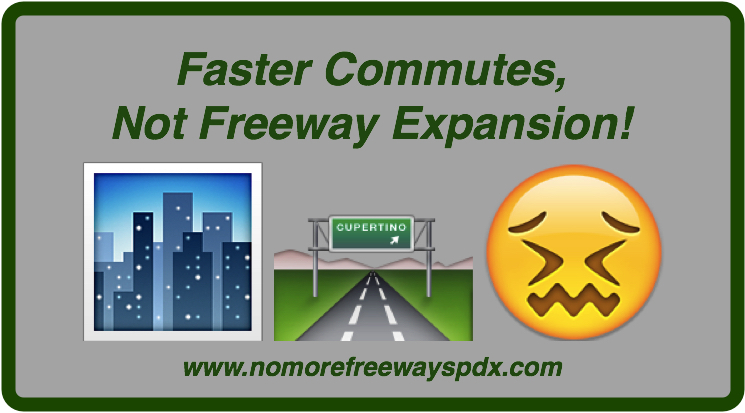 – No More Freeway Expansions. 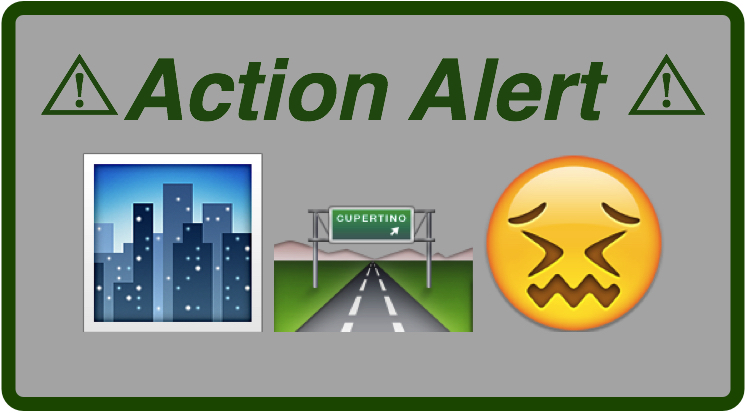 ACTION ALERT: Tell ODOT to support Decongestion Pricing ahead of Freeway Expansion. This spring, the Oregon Department of Transportation (ODOT) has convened a stakeholder advisory group to review potential options for instituting value pricing, or decongestion pricing, on I-5 and I-205. Our coalition believes that decongestion pricing should be implemented and studied before any potential freeway expansion anywhere inside of the Urban Growth Boundary. Decongestion pricing helps lower carbon emissions, improves air quality, is exorbitantly cheap compared to freeway expansion, can raise revenue for transit, and actually alleviates recurring traffic congestion. All of this is untrue for ODOT’s $450 million Rose Quarter freeway expansion and other plans on I-205. We’re thrilled to see groups like The Street Trust, Oregon Environmental Council, OPAL – Environmental Justice Oregon and Verde sitting on the advisory committee write a letter specifically asking ODOT to implement decongestion pricing before freeway expansion. 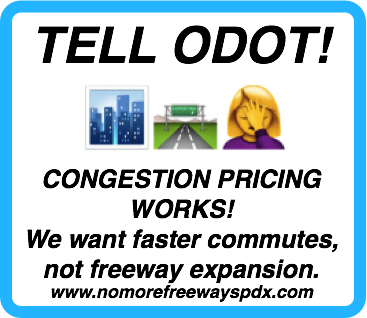 We’re emailing you today to ask you to also tell ODOT you believe decongestion pricing is an important policy that should be implemented to address traffic. ODOT’s currently soliciting community input on a clunky online open house, and you’re welcome to attend one of their events in person. Decongestion Pricing is Great! We want to see Option 2 implemented, in which all lanes of I-5 and I-205 are priced during peak traffic hours. Every dollar raised from decongestion pricing should be redirected into transit, biking and walking projects, not more freeway expansion. Spending money from decongestion pricing on freeway expansion is like using revenue from a carbon tax to build a coal plant or pipeline. We encourage the exploration of mitigation of congestion pricing on vulnerable communities through the exploration of rebates, funding safety improvements on nearby high crash corridors, and initiatives for data privacy. Please read our letter, and consider joining over 200 community members and signing on. We’ll be delivering the letter to ODOT’s Value Pricing Committee on April 30. Thanks to the Sprocket Podcast for hosting us! We were on The Sprocket Podcast last week to discuss our opposition to this freeway expansion. Thanks for hosting us! We were on X-Ray in the Morning this week with OPAL – Environmental Justice Oregon’s Orlando Lopez as well. What happened to all of the houses destroyed by North Portland freeway expansion ago? Elected officials are starting to call ODOT’s bluff. Jonathan at BikePortland has a great story about local legislators and community leaders asking questions about why ODOT has been slow to move forward with safety upgrades to 82nd Avenue in East Portland. 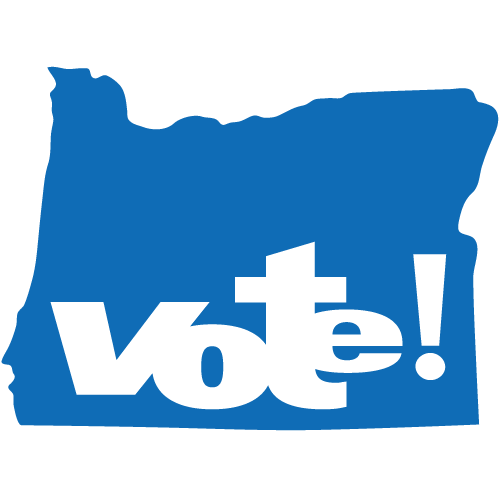 Tuesday, April 24 was the voter registration deadline; ballots are due May 15. We’ve sent responses out to candidates to ask about their opinions on the Rose Quarter Expansion, and received some great responses. We’ll post the comments in full in the weeks ahead – in the meantime, check out Jonathan Maus’ coverage in BikePortland of the City Council Candidate Forum on Transportation, and this recent article in Oregon Business. 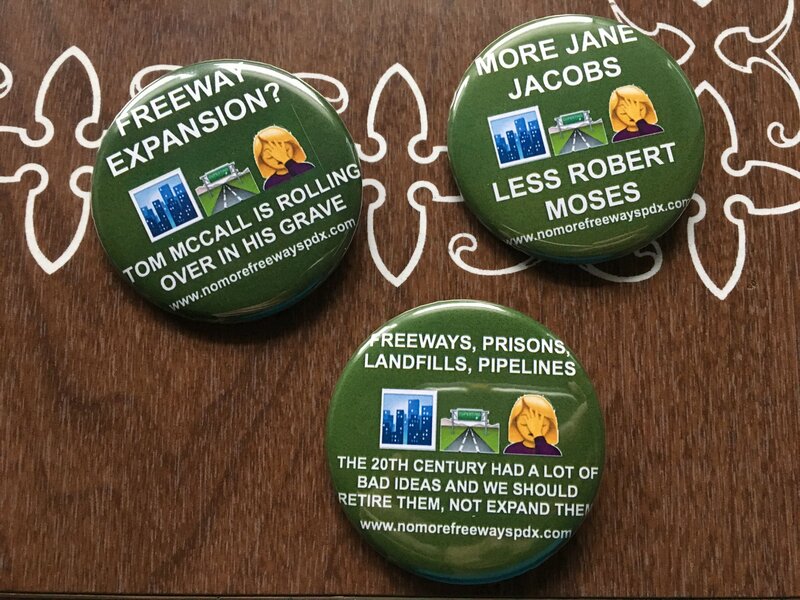 Spoiler Alert: Julia DeGraw, Stu Emmons, JoAnn Hardesty, Andrea Valderrama, Felicia Williams, Philip Wolfe all stated their opposition to the $450 million freeway expansion during last month’s event. We’ve got some snazzy new buttons. If you haven’t yet thrown us a couple bucks to support our grassroots campaign, well, can you consider doing so? HAVE YOU SIGNED OUR LETTER YET? Please do so by April 30, and ask your friends to sign on as well. Previous postFOIA, TriMet Reform, OPAL and more!